A traditional pool apartment with a double bed, living room indors and outdoors in a private yard with private pool. Guests can enjoy the private pool which is enclosed. The pool area has sun loungers and umbrellas for the guests to enjoy peacefully their time. The veranda is consisted of a built up couch with pillows, outdoor shower, outdoor kitchen sink and an enclosed private pool. Guests can also enjoy HEATED POOL for FREE during the cooler months from April until end of May and again from October until November. It is important for guests to request it when they book in order to make sure that the owner will make all appropriate preparations for the heating. 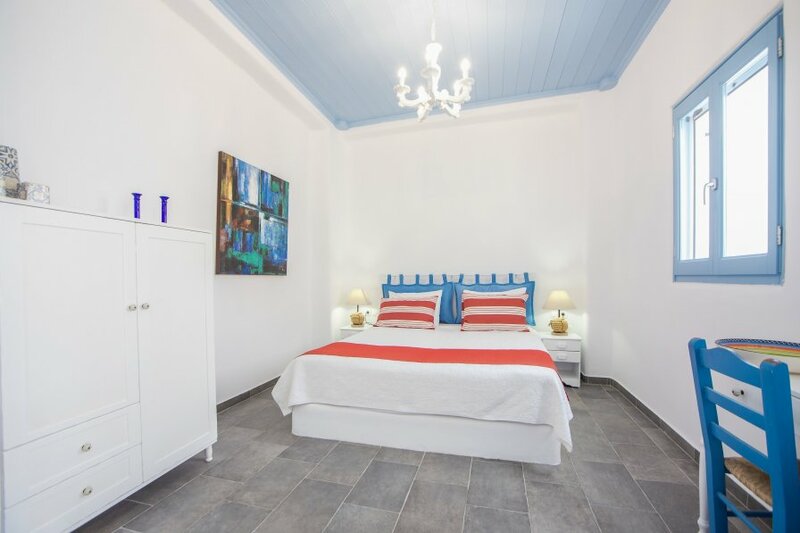 The apartment is enclosed and has its own private entrance to the veranda without any visibility from the traditional lane that connects guests directly to the village plaza in Greek "Plateia".